It’s 2018 and Canon finally decided to get up to speed with the rest of the digital imaging market. Today, Canon officially announced the EOS R and its new RF line of lenses. The Canon EOS R is built around a 30.3MP full frame sensor and uses the new RF mount, which provides a shorter flange distance and results in larger rear lens elements to produce an image on the full-frame sensor. The RF mount also provides faster and more in-depth communication between the camera and lens thanks to the new 12-pin communication system. 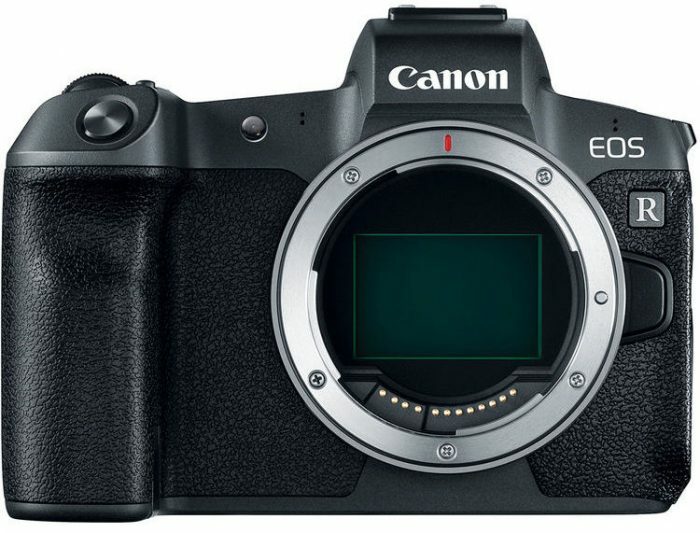 Canon says the EOS R offers “uninhibited compatibility with all existing EF, EF-S, TS-E and MP-E lenses through the use of mount adapters.” There are three adapters possible for using EF lenses on the EOS R – the Basic EF Adapter for $100; the Control Ring Adapter for $200; or the Drop-in Filter Adapter for $400. Uninhibited is a pretty strong word for Canon to use when describing a lens mount. It’s going to be interesting to see how well EF lenses operate on the EOS R.
The new RF 28-70mm f/2L USM lens is possible at its size because of the advantages the RF mount offers to the lens engineering team. The larger diameter of the rear lens element and shorter flange distance on the RF mount could yield all kinds of interesting new lenses without completely going bonkers on the overall size and weight of the lenses. 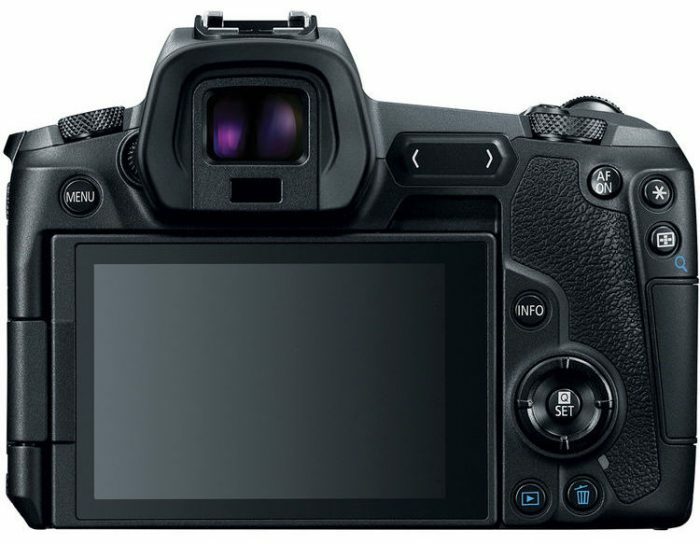 There are some interesting new interface features as well, including the new Multi-Function Bar (just to the right of the EVF), which allows access to customizable settings like AF, ISO and white balance. The EOS R also offers a silent shooting mode. 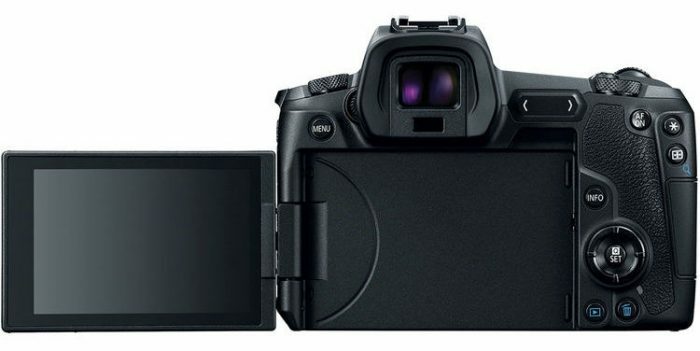 For now, it is only available in single-shot mode; however, a future firmware update will offer silent shooting in continuous-shooting mode as well. The Canon EOS R ships in October 2018 for $2299. Check it out here at B&H Photo. 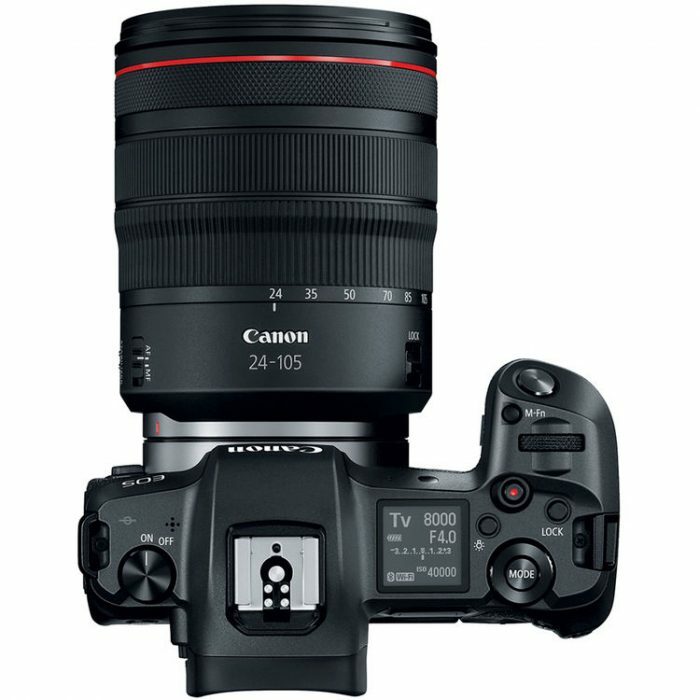 You’ll also be able to order it as a kit with the RF 24-105mm f/4L IS USM lens for $3399. The Canon EOS R sits nicely alongside the Nikon Z and Sony A7 models. It’s a completely safe and foundational entry into the mirrorless market. Honestly, the most exciting thing for me in the announcement is the RF 28-70mm f/2L lens. And yes, the Canon EOS R only offers a single SD card slot like the Nikon Z models. I’ve shot maybe 250,000 digital images with dozens (maybe hundreds) of different memory cards from a variety of brands. I’ve lost maybe three photos from file corruption. I don’t understand why the Nikon Z entered the meme realm over its single card slot and I hope we don’t get another round with the Canon EOS R. We used to shoot 36 photos at a time on a single roll of film with no backup until they were developed. If dual card is a mandatory workflow for you, then Canon and Nikon obviously don’t have an option for you. We’ll see what happens with the images once Canon and Nikon’s new models arrive in users’ hands. However, I suspect we’re going to have the same old comparisons between the Canon 5D and Nikon D850 models apply here. That’s good news for Sony, who has been delivering great cameras for several generations in the A7/A9 product line. I expect Sony to stay ahead of the game and continue to one-up Canon and Nikon in the full frame mirrorless department. Canon and Nikon have signaled that they are okay with that for now. No word on the weatherproofing for this camera body? Thanks for pointing that out. I meant the larger rear element of the lenses. I’ve clarified that reference. I am totally underwhelmed. Fifty MP it is not.